Here’s an idea we hope will perk you up: The chance to have coffee with a cop. Every year at this time, police departments across the country join forces with their communities to serve up coffee and conversation during national Coffee with a Cop day. The New Bedford Police are expanding the concept this year to celebrate Coffee with a Cop all week long. 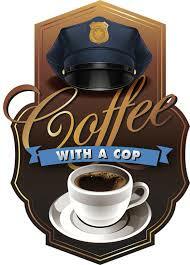 Want to set a coffee date with a cop for sometime Monday Oct. 2 to Friday Oct. 6? Call your local station and we’ll set you up. Station 1 (downtown) can be reached at 508-991-6340, station 2 (south end) at 508-991-6355 and station 3 (north end) at 508-991-6360. You can ask anything, from serious issues to a casual conversation. The ultimate goal is to enjoy an exchange of ideas _ and to make a new friend. No agenda, no speeches, just honest conversation. In addition to offering coffee dates, we are hosting open houses from 9-10 a.m. Monday, Oct. 2 to Friday, Oct. 6, at Station 1, 572 Pleasant St., Station 2, 168 Cove St. and Station 3, 781 Ashley Blvd. This is a chance to meet the captains of our stations and share your thoughts and concerns.